Update: In the waning days of the Nietzschean Uprising, Fountainhead was bombarded from orbit and rendered completely uninhabitable. Drago Museveni's remains were retrieved and have since changed hands several times. 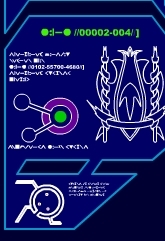 They currently reside on Enga's Redoubt, the homeworld of the Drago-Kazov Pride (see Known Worlds: Enga's Redoubt).